Cromwell s alliance with France in 1657 opened for the English Republic and Charles II s army in exile a new theater of war in Flanders - in addition to England s ongoing war with Spain. It resulted in the old opponents of the Civil Wars in Britain meeting in combat once again. This book tells the story of the two armies: Charles II s polyglot army of Irish, Scottish and English soldiers - fighting for the Stuarts for a variety of reasons - and the expeditionary force dispatched by Cromwell to assist his French allies, with the objective of securing Dunkirk as an English possession. The book, the first detailed study in English, will relate how the two armies were raised and equipped; the commanders and their colorful personalities; and the lives of the soldiers and their campaigns - climaxing with the Battle of the Dunes and the siege of Dunkirk. It will examine the English garrison, and the later history of this and of Charles II s 'forgotten army'. It will also look at the Spanish and French armies, with which Royalists and Republicans were allied. Full use will be made of contemporary and more modern sources - including the letters, journals and memoirs of participants on both sides. 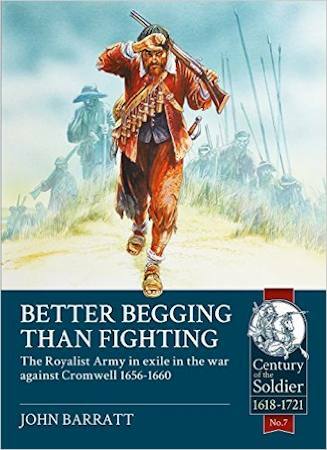 The book will be of interest to historians and students of the period, re-enactors and wargamers, and to all interested in a little-known conflict fought across an area much more familiar to English readers for its later wars. Contains approx. 30 b/w ills, 8pp colour plates & maps.